This week has been pretty busy and exciting for all our employees! On Wednesday we had an ALL-Store inventory. Some of us were here at the store at the crack of dawn! Luckily, it only took us 6 hours to individually scan and count all the items and products in our nearly 12,000 square foot building. With the help of all our employees and an Inventory Counting company, this year’s inventory was smooth and successful. We were all pretty exhausted after that day, but a large order of Subway sandwiches refueled the lot of us! 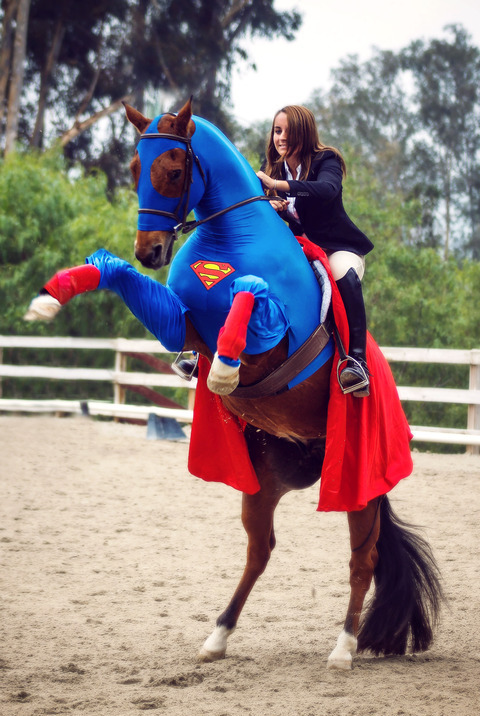 Halloween Horse Contest Runner-up: My Hero! Not even 2 days later, it’s Halloween! Every Halloween, our employees wear their costumes to work and our customers vote on their favorite to win! The costumes were really amusing; we had a Baseball Player, a Devil, a SuperGirl, a BatGirl, a Shark, a Spa Queen, and a Scarecrow. We don’t know who the winner is yet, but you can help us out by turning in your vote ballot if you visit Mary’s today! 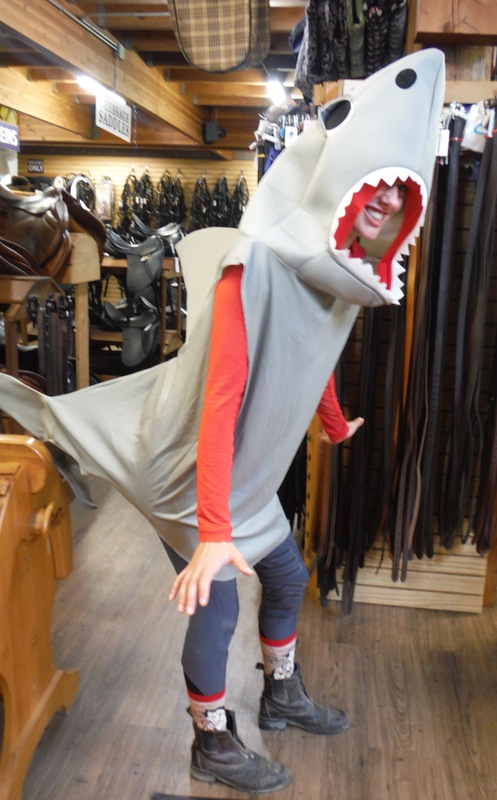 Speaking of costume contests, we also had a Halloween Horse Contest for our fans on Facebook! A lot of people participated, not only with entries, but also with votes. The winner, a very creative Amelia Earhart and her horse as the plane, won by 168 votes! Honorable mention goes to the runner up who had a perfectly timed picture of her super horse, My Hero. Just WOW! There’s always something interesting going on at Mary’s. Give this blog post a “Like” below if you want to see more “Behind the Scenes” at Mary’s Tack and Feed! 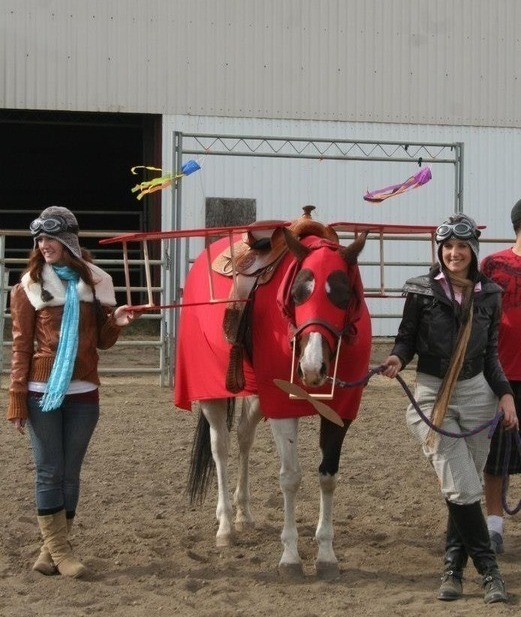 Halloween Horse Contest Winner: Amelia Earhart! ← FREE Shipping on ALL Winter Blankets and Rain Sheets!